Craig Johnson, popular author of the Longmire series that is filmed in New Mexico, joins Jeannie Whitehorse at the Mountain Plains Library Association Annual Conference in Cheyenne, Wyoming. Jeannie as honored as the “Unsung Hero” award for her work from the NMSL Crownpoint Outreach Center and Craig Johnson received the Literature Award at the same event. Jeannie Whitehorse, Outreach Specialist with the Crownpoint Outreach Center of the New Mexico State Library recently received the Unsung Hero Award from the Mountain Plains Library Association. 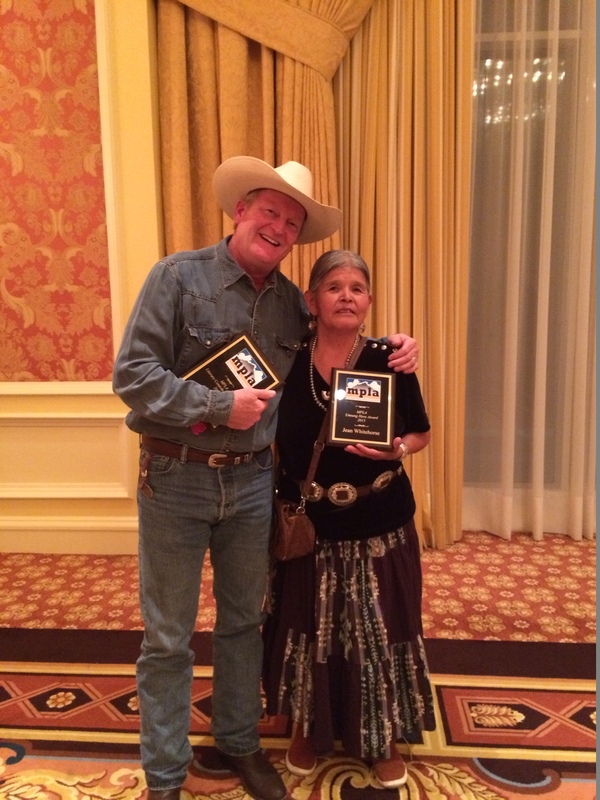 Jeannie was recognized for all her efforts on Eastern Navajo — providing much needed training to residents via the chapter houses. Her training includes digital literacy, financial literacy, storytime for kids, and of course — summer reading programs. Read more about all that Jeannie does in this article from the Farmington Daily Times.